From new and innovative locking solutions, to a heritage borne out of the heart of the British locking industry, ASSA ABLOY Security Solutions, a UK division of ASSA ABLOY, the global leader in door opening solutions, has much to showcase at this year’s MLA Exhibition. ASSA ABLOY Security Solutions will be exhibiting UNION and ASSA ABLOY products on stand 168 at the International Centre, Telford, from the 2nd to the 4th October 2015. UNION will demonstrate why the brand is 'Trusted by Professionals’ by displaying products such as its StrongBOLT® range. Known for its superior strength, reliability and quality; exceeding the requirements of BS3621:2007. 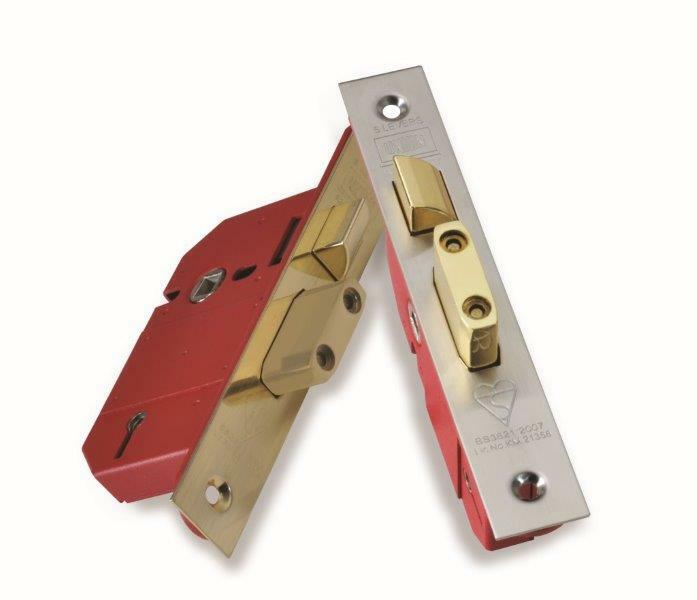 The StrongBOLT® British Standard 5 lever mortice lock fulfils the security needs of both residential and commercial buildings. In addition, UNION’s representatives will reveal how locksmiths can now benefit from an extended StrongBOLT® range, allowing them to save time, without compromising on quality. 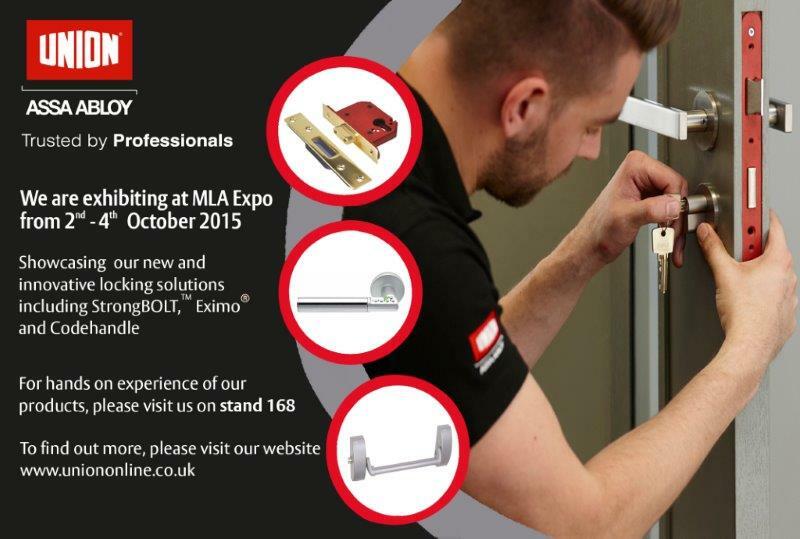 Also from UNION, the innovative Codehandle will be on display, showcasing the brand’s access control offering. 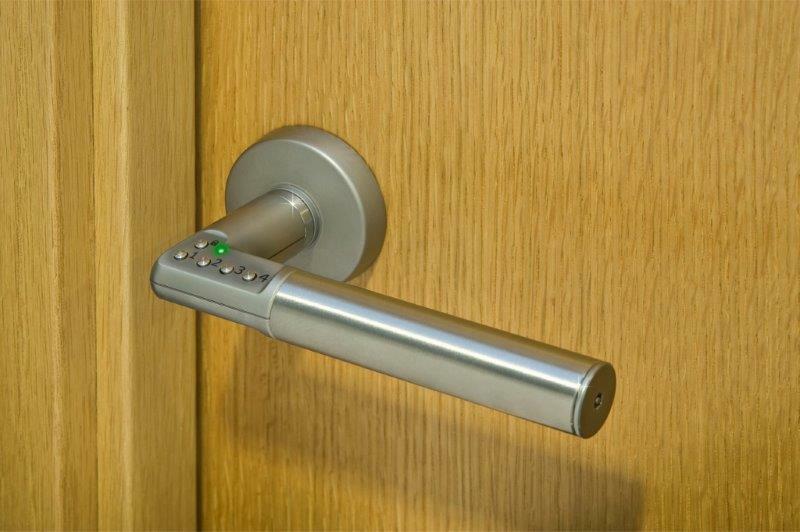 With its sleek lever handled-product, which features an integral five-button keypad, Codehandle provides a simple, cost-effective way to restrict access to private areas of light commercial and residential buildings. Visitors to the stand will also have the opportunity to see UNION’s recently launched Heavy Duty Tubular Latch for residential properties and UNION’s Eximo Panic Exit Hardware range, complete the display from UNION, demonstrating the strength and breadth of its offering. Finally, the stand will also be showcasing ASSA ABLOY’s DC700G-FT Security Door Closer with an integrated escape door locking solution that is suitable for retrofitting fire doors and Shine, a digital lock specifically designed for commercial glass doors. “Having grown out of a family business set up in the heartland of the British lock-making industry, for over 160 years the UNION name has been synonymous with reliable, high quality hardware and is ‘Trusted by Professionals’. “However, UNION has recently been on an exciting journey developing forward-thinking solutions, whilst maintaining its heritage. This mirrors the locksmith industry as a whole, which is currently pioneering some innovative solutions, while maintaining its core features.